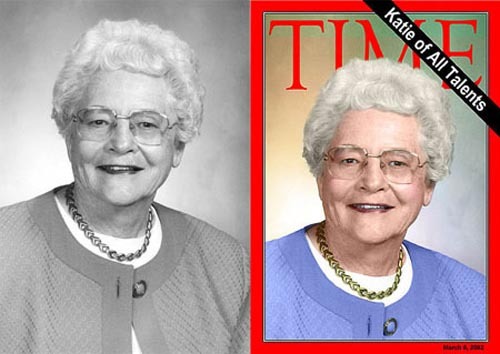 DESCRIPTION: I colorized a picture of Katie, then placed her on the cover of Time. This was used at an appreciation dinner for her. The next two pages show some other occupations I put her in, for the same appreciation dinner.